Welcome to Docks on 10. Providing the best in customer service! 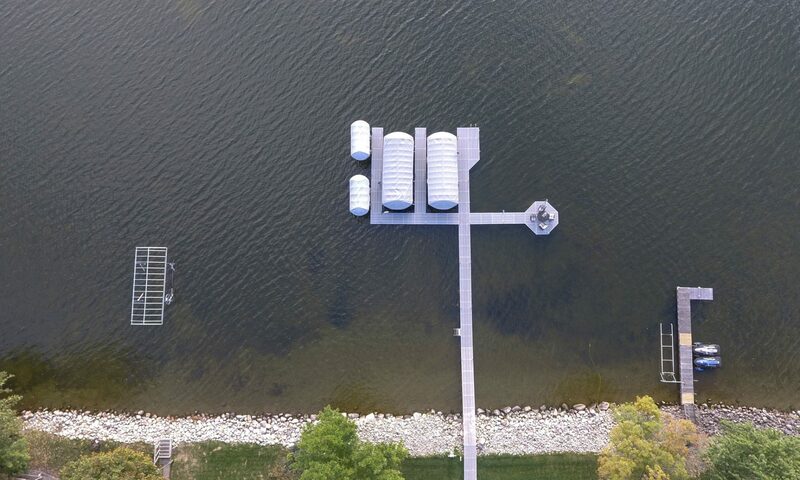 See us for a new Dock, Boat/Pontoon Lift, or Trailer on your next trip to the lake. 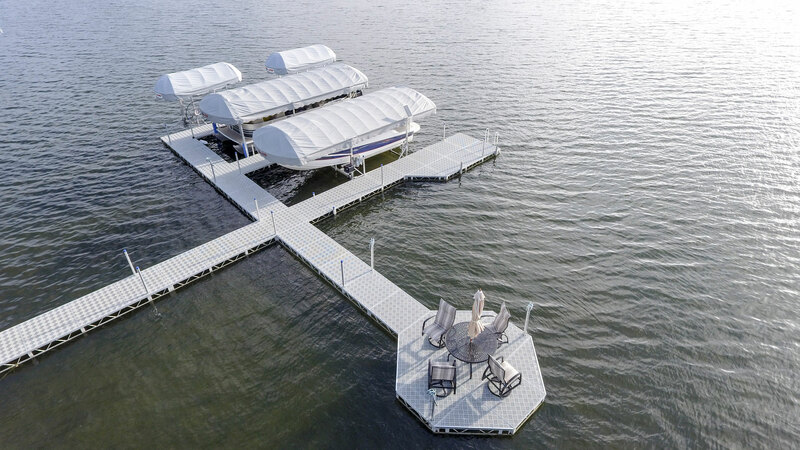 Are you dreading the thought of the chore of putting in your dock or lift again this year? Make 2017 the year it all got easier with a JB Lund roll-in dock system. JB Lund’s Roll-In Dock system boast a lightweight design, and provide the ultimate ease going in and coming out of the water. 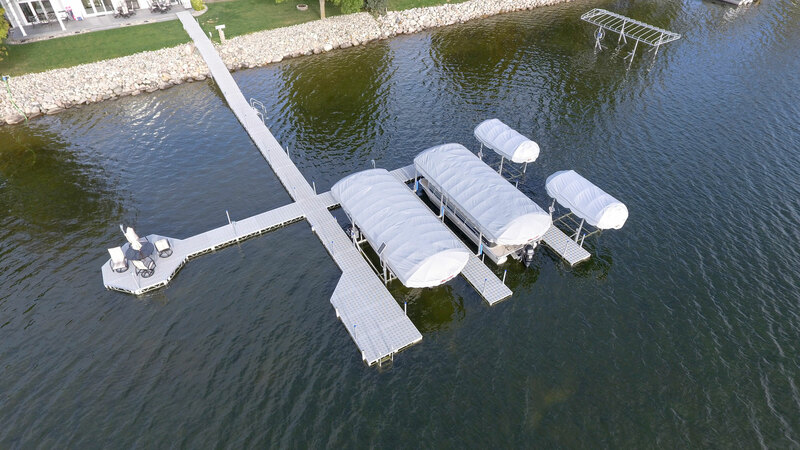 JB Lund docks are built with sturdy aluminum trusses with triple stringers and 2 3/8” OD aluminum legs which means your dock won’t shift or flex. 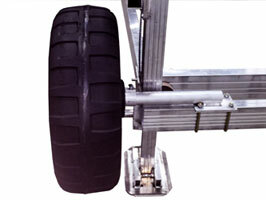 The JB Lund Roll-In Docks and Boat and Pontoon lift wheel kits provide durable roto-molded wheels that never go flat, making install and removal simple. 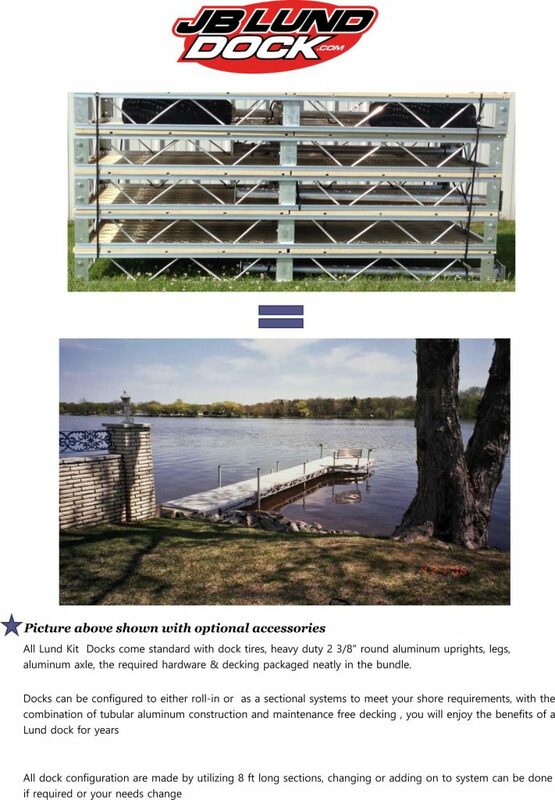 JB Lund Docks can also be purchased as sectional systems to meet your lake shore requirements. Removable 4×4 foot decking panels are made of injection-molded vinyl and come in gray and beige colors. The grate decking prevents water pooling, and is deal for rough water. There is also an wood inland cedar decking option which provides an attractive compliment to any dock. New This Year, 8′ Dock Kits, for easy customer transporting….